My MK Indy is currently running an 893cc lump from a CBR900RR. I am thinking of upgrading it to a newer CBR1000RR motor to get some more poke and wondered how much of my existing set up can be utilized for the new engine? I.e. are there any parts that I could re-use (engine cradle/exhaust/prop etc) or will it all need replacing to fit the newer engine? If anyone has done this upgrade any advice would be much appreciated! AB Performance will be the place to speak too. I would guess possibly the propshaft might work,but everything else will need changing to match new lump. Took the nose off over the weekend ... turns out its a 919cc blade engine, not the 893cc as I was told!!! Best get the DVLA/Insurance updated!!! Better engine though so that's a bonus. Is it really worth it to upgrade it. Better with dyno jet kit and forced induction box instead in my opinion. Cost of the change will outweigh the benefits won't it? spent £5k+ on engine package! I would be very interested in knowing what you did to to bypass the above items. Also where the abs look attached to the main harness you need to connect two wire there, but without my drawing in front of me i’m not sure what colour there are.. I am in the middle of doing this right now, 1998 919 to a 2005 1000. 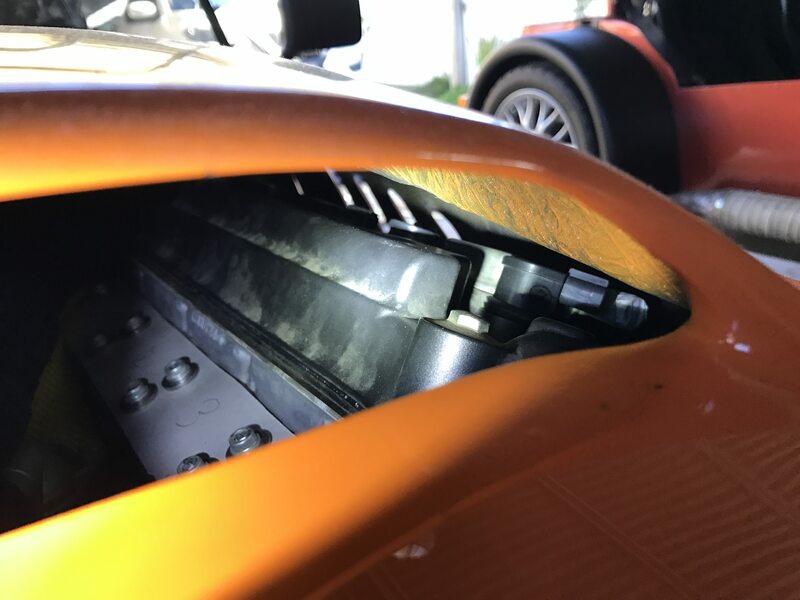 The biggest issue so far has been dealing with the ridiculous difference in overall height from the 919 to the 1000 with its retardedly huge air box and secondary injectors. - Completely new engine cradle. - Complete rewire including the HISS system, HESD bypass, Exhaust servo bypass & speed sensor mod. - New custom air box. 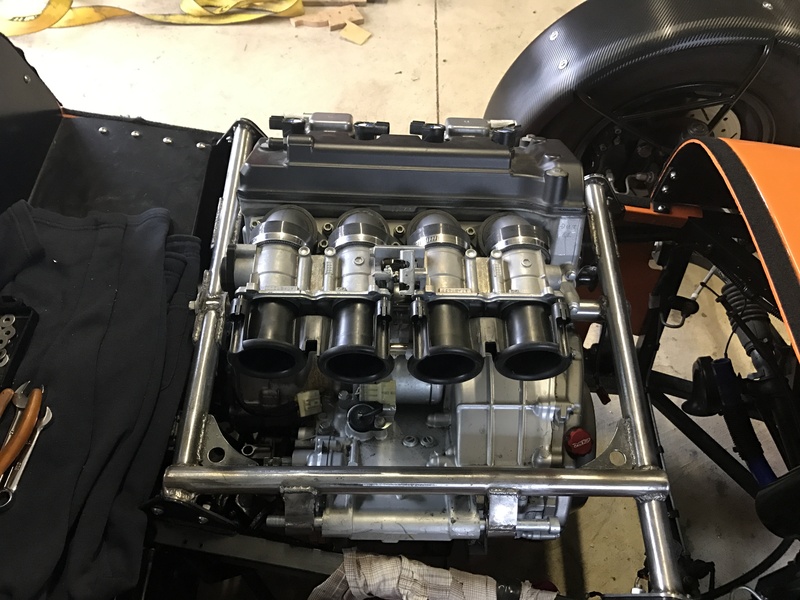 - New custom intake trumpets (I have had to lay over the throttle bodies which increased the intake tract length so I made new shorter trumpets from scratch to keep the intake tract as close to original as possible). - Exhaust (the newer engines have oval exhaust ports versus the round ones on the older engines). I ended up making adaptors to re-use the old exhaust but will replace the headers completely at a later date. - New shifting mechanism (the gear shift is in a completely different spot). - New throttle cable set up. - New clutch set up from cable to hydraulic. - New scratch built fuel tank with integration of 1000 factory pump (you will be going from carb to injection so higher fuel pressure). You will also need a baffled sump and heavy duty clutch set-up as well, I will be purchasing these from AB performance shortly. The prop shaft adaptor from the 919 will fit and you can re-use your existing prop shaft, although since I was doing such a big job I replaced the back half of mine with a TRT unit instead. wow you have changed a lot of items that didn’t need to be changed haven’t you? i have used all the standard items on my indy and got it to fit under the bonet without a hole in the top!! - Cooling system changes (hose rerouting / new hoses to suit the different layout). - Exhaust, either new headers or adaptors to re-use the old ones. - Fuel system, you could get away with a surge tank with the factory 1000 pump built in, I just built a new tank because I wanted the surge tank integrated and was after a bit more capacity over my old one. As you can see, if I bolted the throttle bodies onto the head i would be lucky to even get the trumpets on without the secondary injectors that still have to sit above them. Obviously the factory air box may be able to be re-used if you have the height under the bonnet but I certainly didn't. what engine is it? is it a cbr1000rr?? 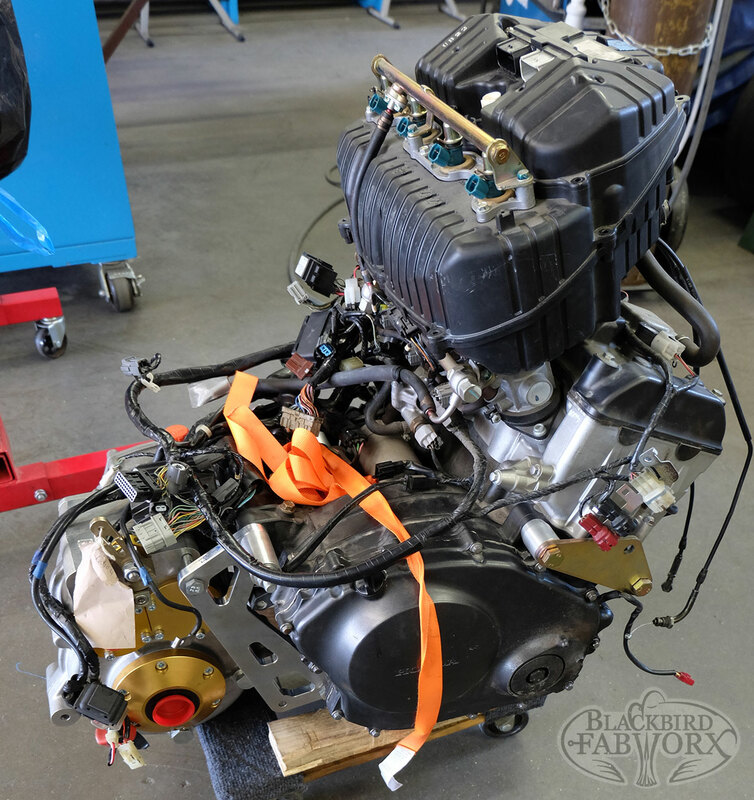 I think it's a 2005 engine which would explain the different requirements and difficulties.